Come for either the morning, OR afternoon session! 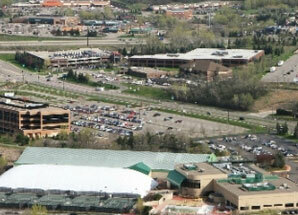 See their state of the art facility that provides comprehensive orthopedic AND overall fitness care. Food, a prize drawing for a 30-minute massage and everyone attending the event can sign up for 2 FREE personal training sessions! FREE 5-10 minute massages will also be offered at this event. Come for the Networking Stations with their staff and self-guided tours. Each of the following stations below will be staffed with a professional. This session will go over the clinic information, provide all the needed information on Commit to Fit, as well as provide a clinic tour to the group! Cost to attend is FREE for members and $15 for non-members. Interested in a FREE, healthier you in 2018?! 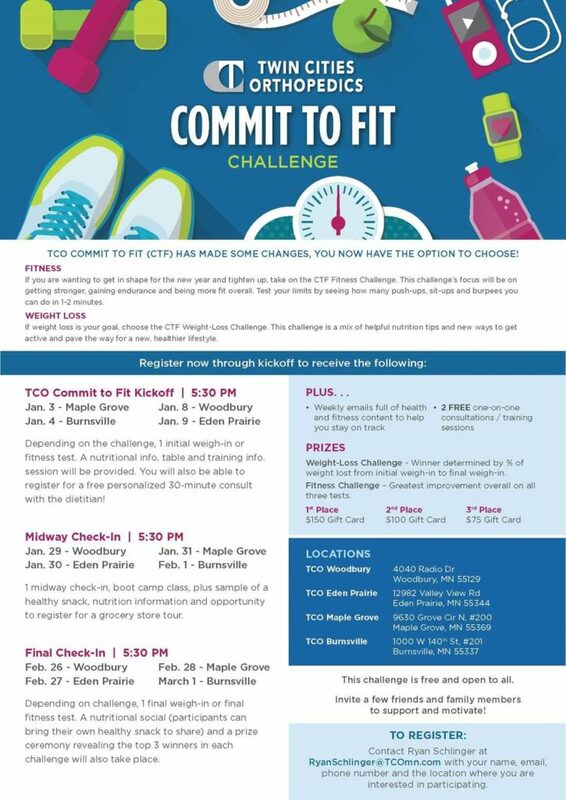 Attend our Networking Event Jan. 4th at Twin Cities Orthopedics to learn more about their FREE Commit to Fit Challenge. See the program poster below for all important information.